We are manufacturing wide range of Plastic item which are being export all over world. - A must have for your meals out from home. We are involved in the offering up of an extensive range of Plastic Household Product. These products are being designed in compliance of the latest industry standards. 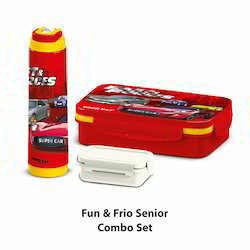 Owing to the efficient storage of these products, these are highly used for domestic purposes. Our range of products are appreciated among the client of our national market. Plastic Ghagars are Available in 3 Diffrent Sizes in Virgin Material. We are offering a wide range of Plastic Products like as Plastic Stools. Casseroles and Hot Pots, Insulated Meal Carriers, Tubs and Basins, Bucket, Waster Bin with attractive colours , amazing designs & highest quality. We offer high quality footrest. Manufactured using superior quality raw material, these adjustable footrests can be used to keep up cup boards, refrigerator, washing machine, flour mills, storage box, bed, table, etc. 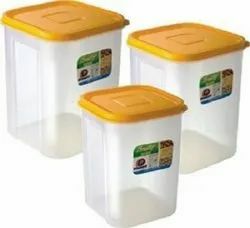 Nano Tub - 25 Ltr. It gives us great pleasure to introduce a wide range of Water Tub (Model: Nano). These tubs are verified on all quality standards owing to which these tubs exhibit better strength. Our range of water tubs is designed in perfect harmony with the needs and requirements of the customers. By choosing microwave reheat-able food casseroles, it can save your valuable time. Food cooked in advance can be stored in the microwave in refrigerator, ready to reheat in microwave & serve. we are the leadiing manufacturer and supplier of Plastic Products in chennai , we have various colors and sizes available.